SCVHistory.com LW3346 | Aircraft Down | Plane Crash Victim on Stretcher, 1-13-1937. 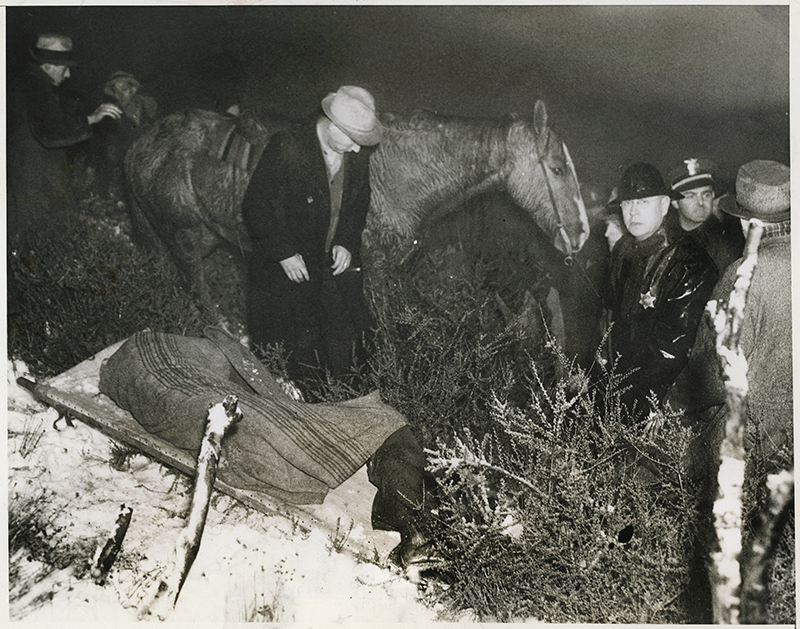 January 13, 1937 — Victim lies on a stretcher following the crash of a Boeing 247D passenger plane on Iron Mountain near the Santa Clara Divide south of Newhall. 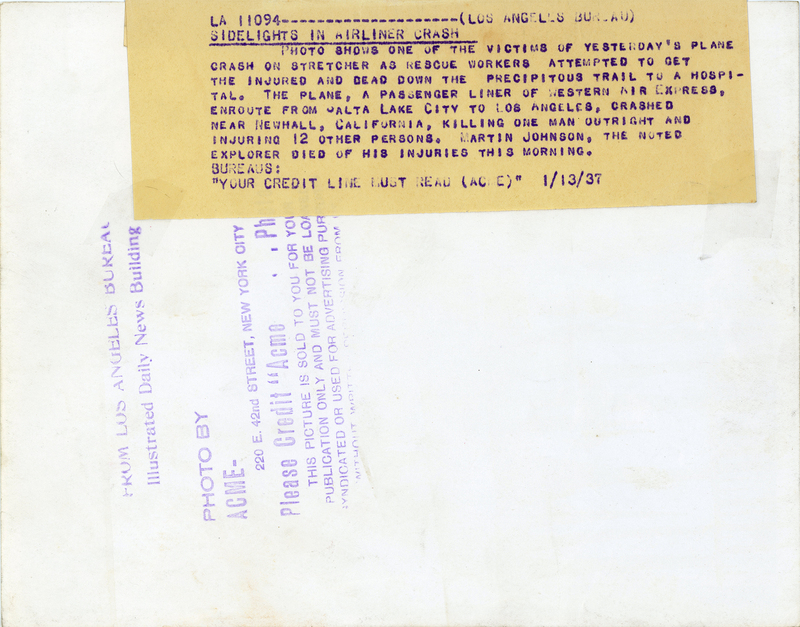 7x9-inch glossy print from the Watson Archive. Photographer unknown. Photo shows one of the victims of yesterday's plane crash on stretcher as rescue workers attempted to get the injured and dead down the precipitous trail to a hospital. The plane, a passenger liner of Western Air Express, en route from Salt Lake City to Los Angeles, crashed near Newhall, California, killing one man outright and injuring 12 other persons. Martin Johnson, the noted explorer, died of his injuries this morning. LW3346: 9600 dpi jpeg from original photograph purchased 2018 by Leon Worden from Watson Archive.